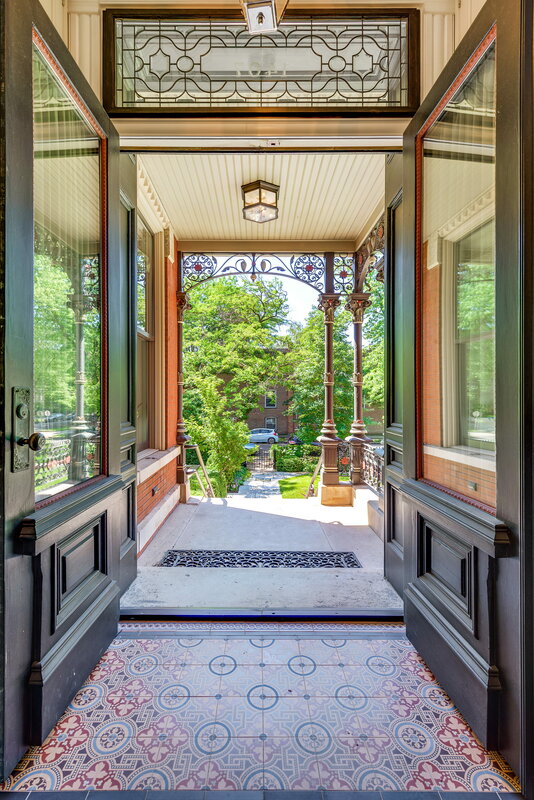 This outstanding 1886 Victorian home in Chicago, Illinois has been brought back to life and beyond, with not a single detail spared. The formal living room has velvet wallpaper and original ‘carpenter’s lace’ detailing in the turret area with large windows. 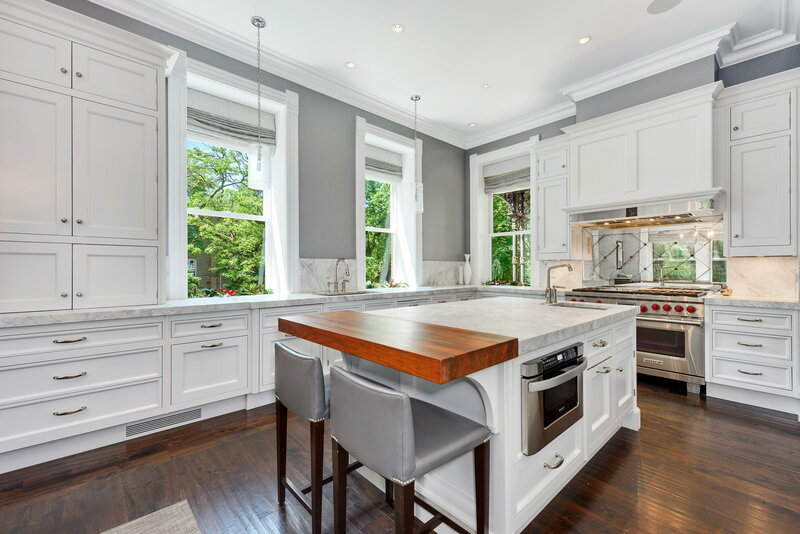 The custom kitchen by O’Brien Harris has white stone countertops, all top end appliances, coffee bar, and huge south-facing windows overlooking the lush yard. An adjacent family room has a hidden TV, desk, and beverage center. The second level has three bedrooms, including the luxe master suite with spa bathroom, and fab closet/dressing room. A true laundry room completes this level. 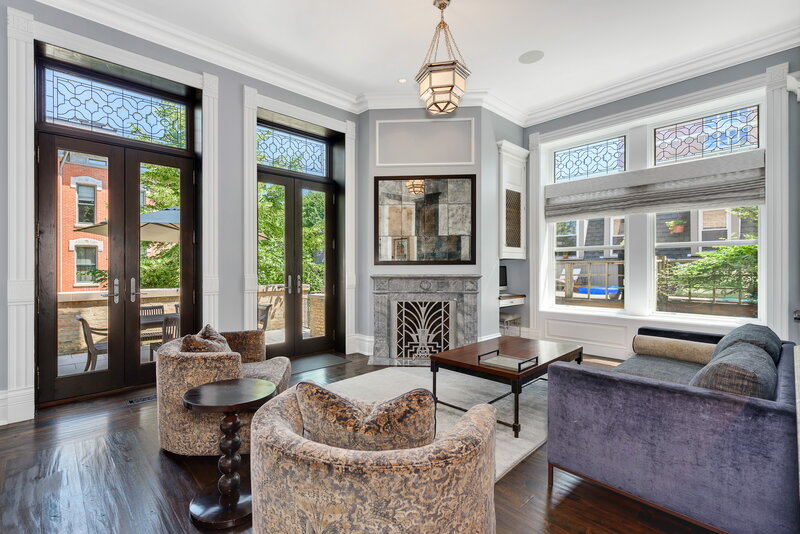 The top floor has an office with Knotty Alderwood floors, fireplace, a powder room and an east facing terrace. A guest bedroom and bathroom, plus a true exercise room and sitting room complete the top floor. 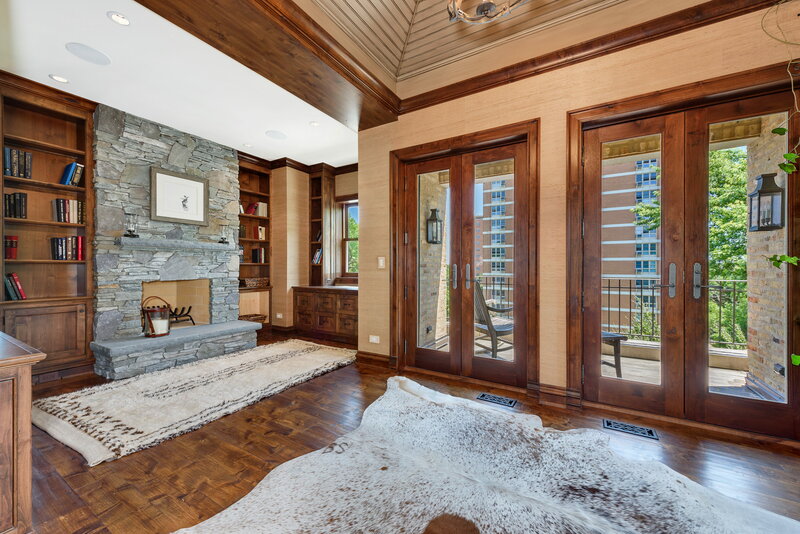 The lower level has an attached garage wine room, playroom with heated floors, and storage. A mudroom with built ins provides the perfect access into the home and has an integrated but separate apartment. This very special house sits on a corner lot with a huge yard. It is listed for $6.495 million with @properties, an affiliate of Luxury Portfolio International.